Yesterday, we hit you up with the importance of not only being involved with Square, but also following it up with Square’s Card Case system. Now we’ve got a new app for you to get involved in, especially if you’re a small business who deals primarily in sales to consumers directly. 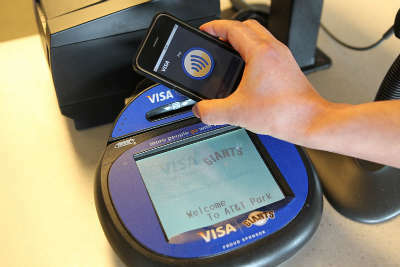 That app is Visa PayWave, and it’s going to be a pretty big thing in the coming months. First, some background: you may not know this, but right now in Barcelona, the Mobile World Congress show is currently in progress. It’s one of the world’s biggest shows as far as mobile hardware and the like goes; so big, in fact, that one of the first exhibitors out of the gate was no less than Intel. And Intel announced what they called a “long term strategic alliance” with none other than Visa, to get Visa’s PayWave service to be part of future Intel smartphones. 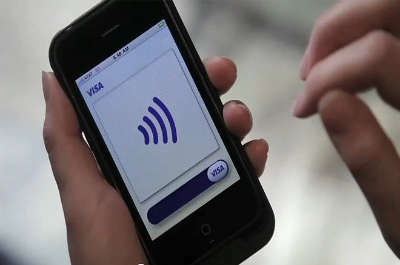 Visa’s PayWave, if you’re not familiar, is a service that lets you scan your card remotely to make payments, and even integrate your card in with your smartphone. You’ll be able to even charge purchases under $25 without signing for them, and Visa and Intel’s strategic alliance will get PayWave into a lot more phones. This may get you wondering just what this means to your small business, but with PayWave likely to be en route to a whole lot of phones in the not too distant future, it should paint a pretty clear course of action for your small business. If you’re not already set up to take Visa, especially PayWave, you may want to fix that before too much longer has passed. See, if a lot of new smartphones coming up will have PayWave built in, then there’s a good chance large chunks of your customer base will too. And the more conveniences you can offer your customers, the better the chances that you’ll get return customers out of the deal. Of course, having such a service in play by itself is a great start to provide the kind of customer service that keeps your customers coming back, but it’s not going to be enough by itself, which is why you’ll want to consider some solid cloud-based telephony features like digital faxes or automated attendants to make sure your phone customers manage to get through the noise and get through to you. This entry was posted in Sales, Small Business, Virtual Office by Steve. Bookmark the permalink.